• On-board clients with ease. • Alter client services as directed. • Match client tasks to staff. • Optimise rosters & routing. • Easy last minute rescheduling. 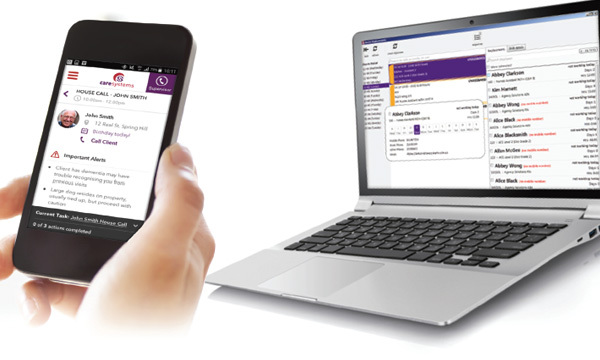 • Avoid paperwork with electronic task tracker. • Track location & timing for correct invoicing. • Add client notes & photos. • Bill in advance or in arrears, fortnightly or monthly. • Complete client invoice & CDC statement management. • Process all subsidy claims, payroll & purchases from one system.